Want to see Prince's Coachella performance of Radiohead's Creep? Of course you do. Only problem is, you can't - and Radiohead are none too happy about it. Shortly after videos of Prince's rendition of Radiohead's early smash made it to YouTube, they were mysteriously removed and replaced by a message that his label, NPG Records, had removed the clips, claiming a copyright violation. Which raises the question: who owns the copyright? Seeing as the posted videos were shot by fans and that the song wasn't written by Prince, the matter becomes murky, at best. In a recent interview, Thom Yorke said he heard about Prince's performance from a text message and thought it was "hilarious." Yorke laughed when his bandmate, guitarist Ed O'Brien, said the blocking had prevented even him from seeing Prince's version of their song. "Really? He's blocked it?" asked Yorke, who figured it was Radiohead's song to block or not. "Surely we should block it. Hang on a moment." Yorke added, "Well, tell him to unblock it. It's our ... song." YouTube prohibits the posting of copyrighted material. Should the site receive a complaint from a copyright owner, it will in most cases remove the content. But this is where Yorke's complaint holds water: Did the company that holds the copyright to the song block the video? This dispute opens up a potentially heated debate over digital ownership, at the center of which are two international acts with opposing views on how music is distributed over the Internet. 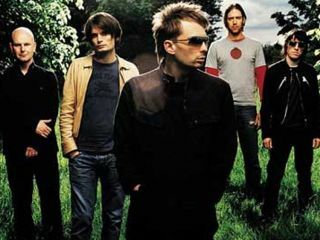 In addition to releasing their most recent album, In Rainbows, as a digital download with an optional pricing plan, Radiohead have their own channel on YouTube. Prince, meanwhile, dismantled his official website last September and threatened to sue both YouTube and eBay for presenting unauthorized content. Pull up a chair, folks. This could get even more interesting.